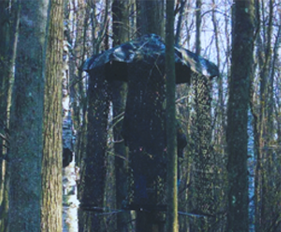 Go to Lucky's Hunting Blinds to purchase dependable gun blinds, tree blinds and bow blinds in Michigan. 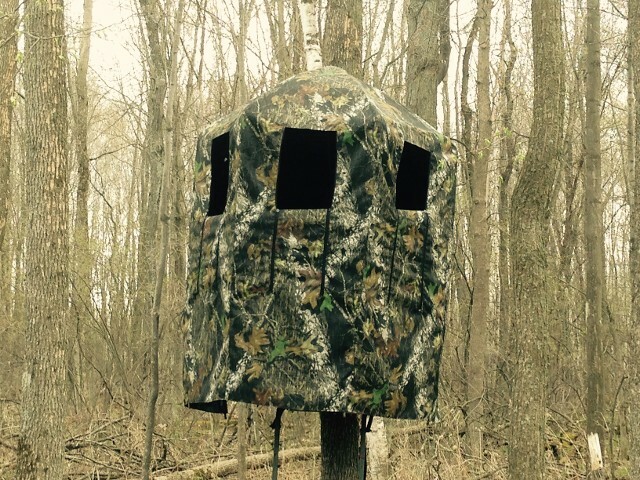 Our hunting blinds are perfectly engineered and field-tested by American hunters to ensure their quality and efficiency. 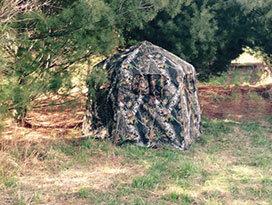 These blinds are designed to offer bow and gun hunters a good vantage point and angle for a successful hunt. 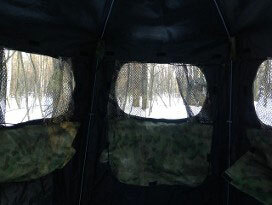 It has window screens with slides that flap silently to avoid distracting a hunt and it comes complete with a bow hanger and gun rest, and a Window Size of- 14in x 23in. 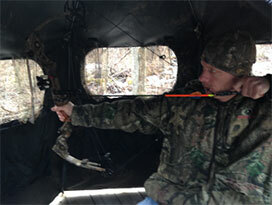 The easy-to-set cluster blinds have shooting windows that measure 9" x 7". Its windows come with five panels with attached Velcro that can be rolled up to the roof for a wider view. 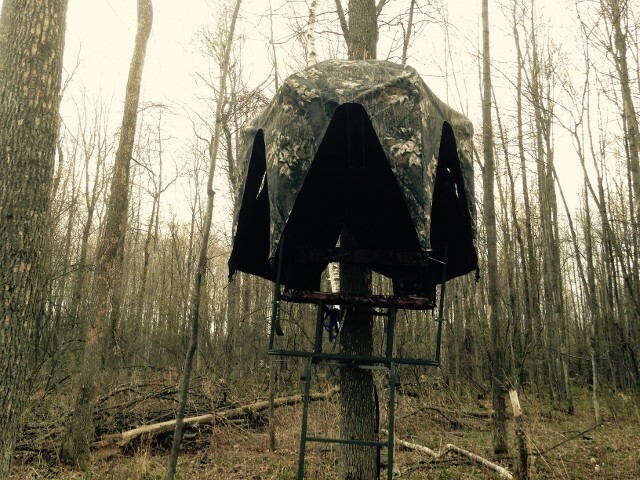 Each of the panels is secured to a tree stand to prevent wind flap. The cluster blind completely hides you from game while giving you a good view of the landscape. It also gets rid of the need to wear camouflage or to find an adequate vantage point. 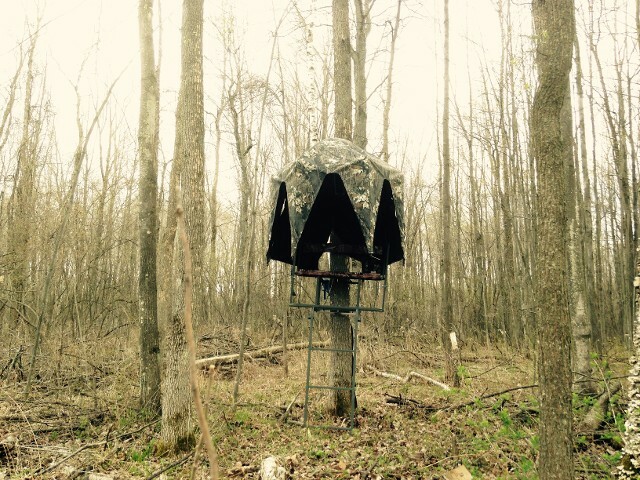 For additional benefits, our cluster blinds come equipped with a bow hanger and a carrying bag that weighs about 15 lbs and measures 10" x 38". 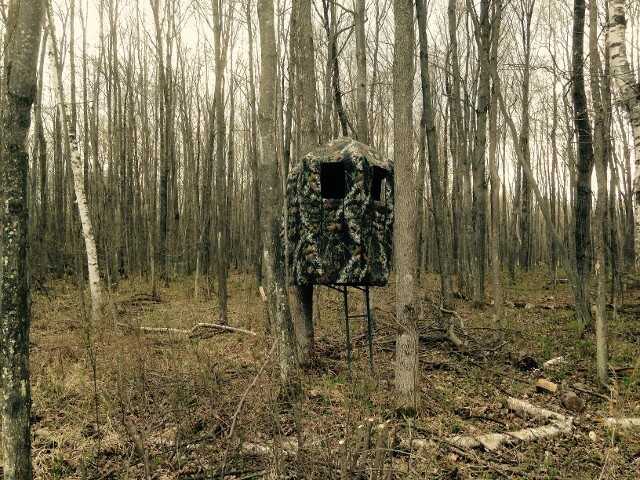 Contact us in Ubly, Michigan, to get your hands on our fully functional deer blinds for sale.